Finishing hardened concrete surface is carried out just after the removal of formwork to achieve finely finished surface. 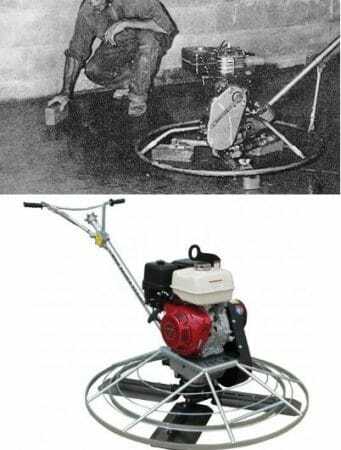 There are various methods and equipment that have been used to finish concrete surface. 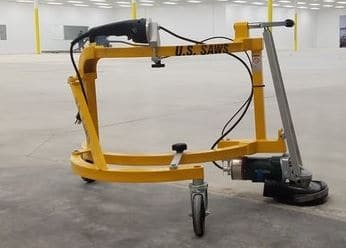 These finishing dried concrete surface techniques and equipment is presented. Dry grinding is performed on dry concrete surfaces. It is used to eliminate fins and marks caused by forms. Abrasive discs are used for grinding and its outcome is excellent. The abrasive disc constitutes of multiple layer of abrasive-impregnated cotton fiber material bonded together under heat and pressure with strong resin bond. Thickness of abrasive is around 6.35mm and its diameter ranges from 17.78cm to 22.86cm. Abrasive discs can be used to the work at an angle of 30 to 40 degrees using the weight of the tool for pressure. They can be attached to any type of portable tool and should be operated at from 3,000 to 4,000 rpm. It is executed on green concrete. The procedure used for finishing hardened concrete using wet rubbing includes apply paints on a coating of cement with hand brush. Then, the wet cement is rubbed in; at this step, use water where necessary. Finishing process is conducted by slow speed grinding disc (wheel), at the same time applying water. 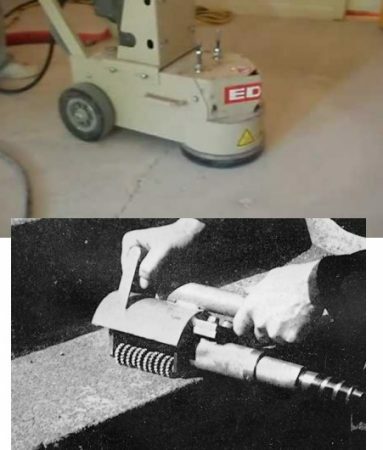 So, the operator can apply water and grind concrete Simultaneously. The water and the rubbing action, brings up a cement paste which makes concrete very smooth, plaster-like surface. The grinding disc is utilized with a right-angle head, to which a water hose is attached to, run water through the center of the grinding wheel onto the concrete. The wet angle head has various gear reductions to decline the grinding speed to 300 to 500 rpm. Pressure tank could be employed for water supply. This technique used previously, but its application declined because it is found to be slow and costly for large areas.